If you’re about to get married anytime soon, you’ll probably need all the wedding ideas and inspirations in the world right now! Here are some super unique wedding decoration ideas we spotted on Instagram that’ll come in handy when you’re designing, planning and creating your dream wedding day! Go on, ladies, scroll down these wedding decorations and explore some prettiness! Did you ever think potted plants could look so pretty? This vintage potted plant containers can be a great item to include in your wedding decorations. Even if you don’t want to add real flowers or plants, you can always go for artificial ones that will look just as beautiful! If you and your partner love to travel and collecting little memoirs from around the world, this coupon style wedding decoration placement will look absolutely amazing! How pretty does this wedding decor ideas look? How cute is this piece with ladders and just a basic white drape as a photo-op spot? Use this wedding decoration idea if you’re having an outdoor wedding and if you have love for all things bohemian! If you like things handcrafted and pretty, this is something you can definitely include in your wedding decorations. Hang it around the mandap as chandeliers. The tokri plus little ferns will be an affordable and easy-to-do wedding decor idea. If pastels are your first love, there’s no better way to add it in your wedding decorations but by having your seating arrangement done up in pretty pastels mixed with some glitter and mirrors. We promise, this wedding idea is going to look fab! 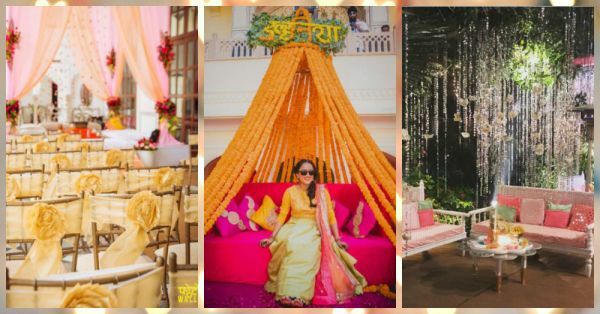 If your taste is all parts quirky, this personalized wedding decoration which embodies a canopy that says Dulhaniya looks absolutely fun and fabulous! Take some hints from this wedding decor and do this up in your favourite flowers and look gorgeous at your mehendi! If DIY is your thing, then this wedding decoration idea is for you. These ribboned chairs are something that will add a pretty twist to all your basic furniture around the venue. And guess what, this wedding idea is super cost effective and can transform the look of your wedding instantly. Want your wedding venue to feel relaxed and more like a picnic, then this tablescape is something you’ll be lusting over for days to come. 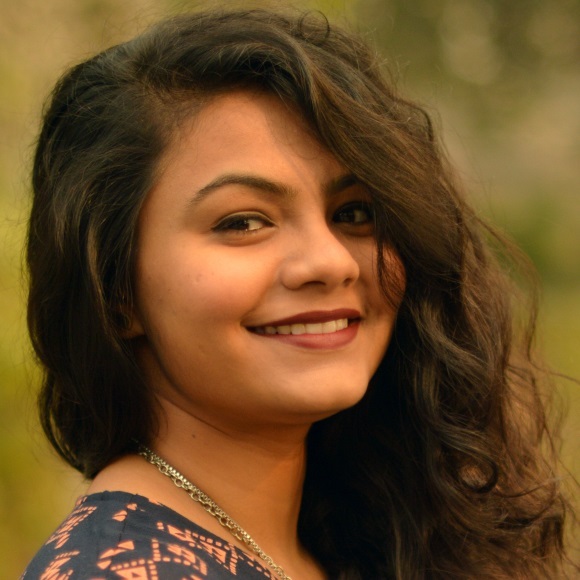 You can also try this wedding decoration for one of your smaller functions like a mehendi or haldi, wherein most of the guests are seated, sipping on tasty cocktails. Stairs never looked this pretty before this picture! Decorate the boring parts of your wedding venue with these pretty pinwheels and more. This kind of wedding decoration will add a colourful twist to your decor. Look how this wedding decoration which incorporates some painted glass that looks absolutely wonderful is a great way to break away from the traditional motifs and include fun, new things in your mandap!